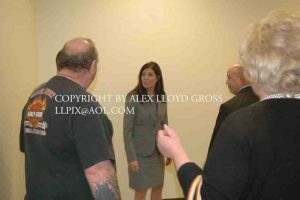 Kathleen Kane, former Attorney General who got convicted of obstruction of justice and perjury has been on home confinement since her conviction of August 2016. She was on bail while her legal team tried to appeal her conviction. When the Pennsylvania Supreme Court refused to hear her appeal, She was the first female elected to serve that post. The ruling took place in the court of common pleas, in Norristown, Montgomery County. Kane will surrender to the Pa Department of Corrections before Thursday at 9:00 AM, a judge has ruled. Since the high court refused to hear her appeal, she is no longer entitled to bail and must begin serving her 10 to 23 month sentence. Her legal team argued that she should have been able to use evidence of a pornographic email scandal that sent the state judiciary into a tailspin. One Supreme Court Justice is no longer on the bench as a result of that scandal. She also tried to argue that Montgomery County Judges should not have been allowed to hear her case. She also claimed the evidence used to convict her was illegally obtained. All of those points were rejected by the court in her appeal process.